Investigations have revealed that wheels that were turned off on a CNC machine tool in the star section to the hub cap by 1 mm can be driven temporarily and also look new. However, such high tensions occur on the road that wheels refurbished in this way could break after only half of the normal service life. 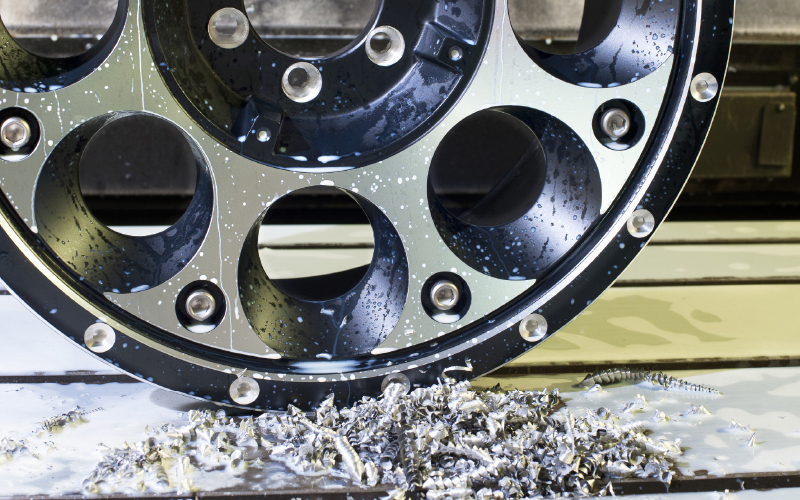 For this reason, according to our information, well-known German car manufacturers such as Daimler, BMW, Volkswagen and Audi have declared the turning off of diamond cut alloy wheels on CNC machines for impermissible in their service information/technical bulletins. The CARTEC technology for diamond cut alloy wheels is not a cutting process. If there are signs of slight damage in the area of the hub cap and the visible area of rim star, the powder clear coat is ground down to the bare metal with the WheelDoctor. And no further. Then, the aluminium is polished up and matched to the original lathe-grooved structure with the specially developed structure pad technology.